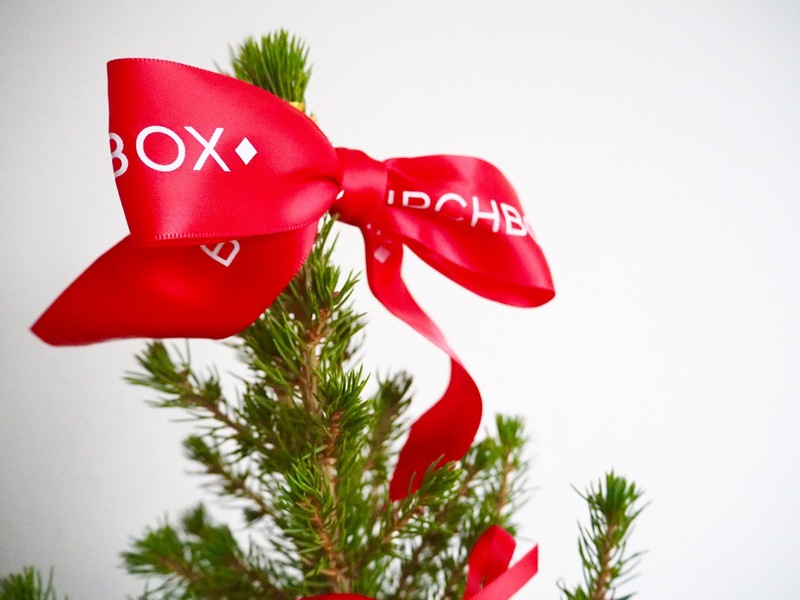 Bloom & Wild flower delivery are a well known online florist and this Christmas they have teamed up with beauty box legends Birchbox to bring us the BirchTree; an alternative Christmas gift, perfect for any beauty lover and a great twist on the usual beauty box. 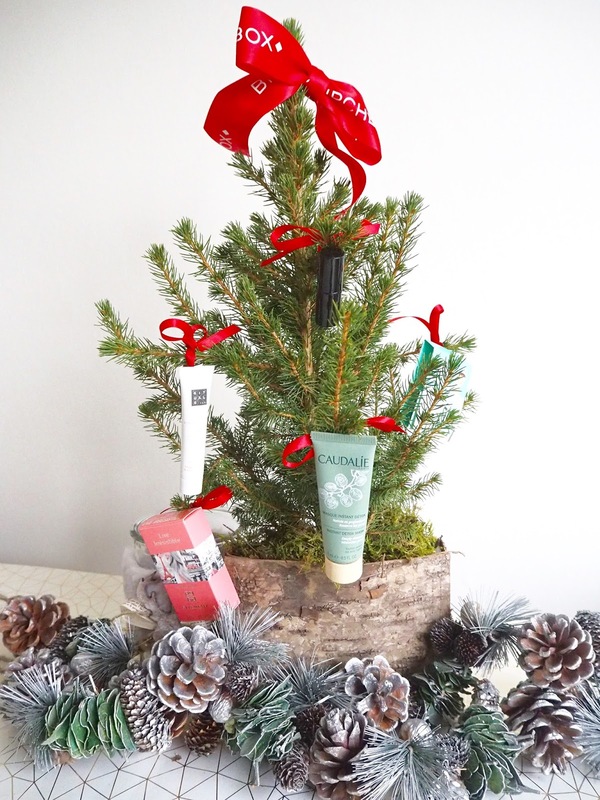 The beautiful little evergreen (yes it's a real tree!) comes beautifully packaged in a flat packed letter box size box, wrapped in polka dot wrapping, with a little card from Bloom & Wild, and a bag of products attached to red ribbons, ready to tie onto your tree. Not only is it really easy and convenient to order from Bloom & Wild, but the fact it fits through a letter box just makes it the perfect surprise to send directly to a loved one. 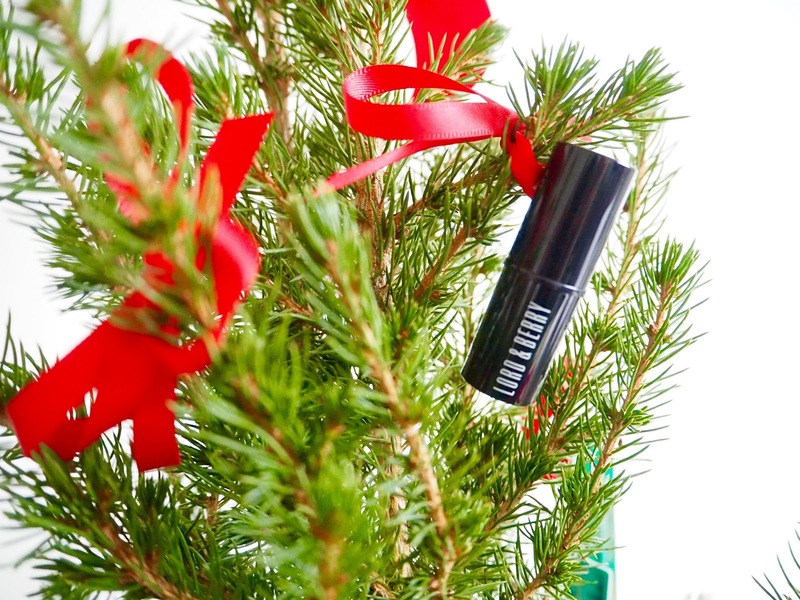 This would be a brilliant gift idea for anyone who likes beauty products; for a friend, wife or girlfriend... I can't imagine anyone not loving this. I have used my tree to bring a little bit of Christmas cheer into my office... It really brightens the room and the fresh smell is incredible. I'm sure this would be a welcome addition to anyone's desk at work, windowsill or display at home. 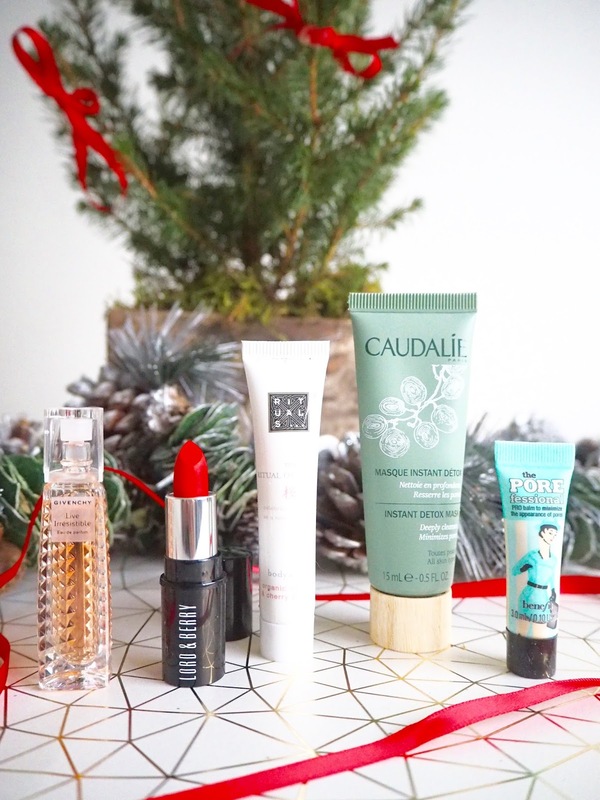 The beauty baubles are definitely my kind of Christmas decoration... Five miniature luxe beauty treats which look so cute hanging from the tree with their little red ribbons. Now that I've taken them all off to use (I couldn't resist using them), I've redecorated the tree with a few of my own decorations, and it looks just as cute! Givenchy Live Irresistible EDP: I have a lot of perfume samples, but none that come in a bottle as pretty as this! This is a really sweet, fruity scent with hints of pineapple and spicy rose. Lord & Berry Red Lipstick: A perfect pillarbox red shade of lipstick, ideal for the festive season. Despite being mini, the colour is gorgeous and the formula is really creamy... This has already set up home on my dressing table ready for any Christmas themed occasion. Rituals The Ritual of Sakura Magic Touch Body Cream: This is the most gentle, soothing cream that banishes any dry patches and nourishes wherever applied. 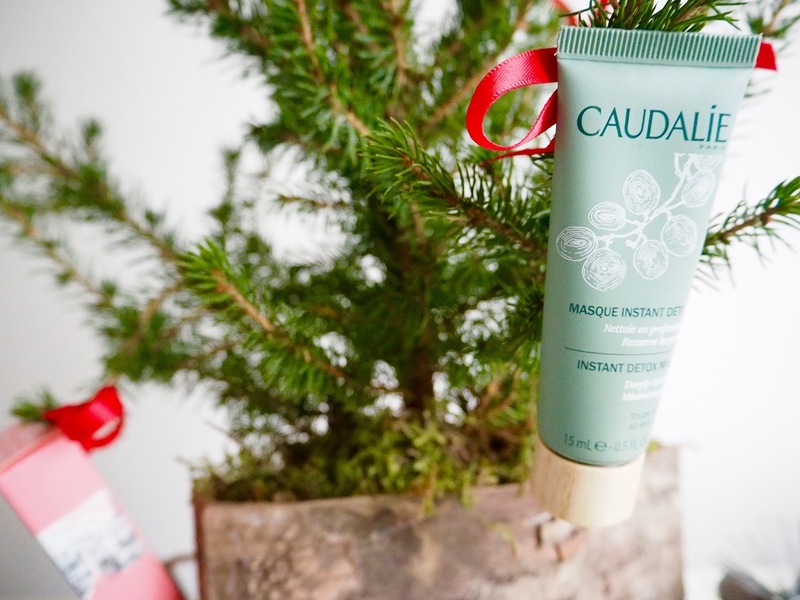 Caudalie Instant Detox Mask: The biggest sample of them all, and one of my favourites... This purifies, awakens and revives tired, dull skin - just what I need! 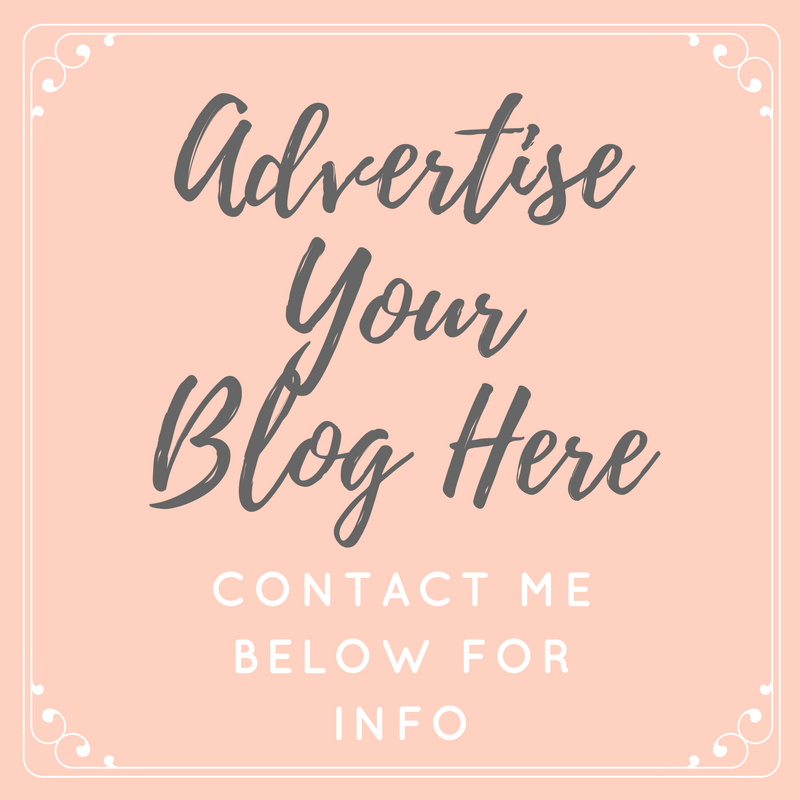 I'm such a fan of Caudalie, and I'm so pleased to have been able to try this, I love it! Benefit the POREfessional: As one of my favourite primers, I was really happy to find this in my box. This smooths the skin, blurs pores and any imperfections and leaves the face prepped and ready for applying makeup. What do you think of the Birchtree?.. Even if you haven't got anyone to buy it for, why not treat yourself?! It's definitely getting me in the Christmas spirit, and making me feel slightly less guilty about not having the rest of my decorations up yet! I actually love this idea, so unique! I think it's something I would buy myself as well as gift it to someone, I think my mum or auntie would be pretty happy to receive it!